Hopped off a plane and ran straight here and hour before they closed. They were crazy crowded yet still so happy and stoked to be helping customers. If I’m ever back in San Jose I will definitely come see you guys again! Thanks again! A most pleasant experience... I am a happy camper. This place is amazing! I have been to a few legal dispensaries (CA/NV) and I gotta say this place has it all! The staff is very helpful and answers any and all questions and does not make you feel rushed! Be prepared for a 34.25% tax as this is not included with posted prices. I haven't been to very many dispensaries, but I have been to some highly regarded ones. This is one of the best. So far the quality of the in house flower is excellent, service is very friendly, the atmosphere is great, prices seem reasonable to me for the quality you get. It does seem to get very crowded at times, but they have a decent size staff and the line moves very efficiently. Glad to have this place nearby. 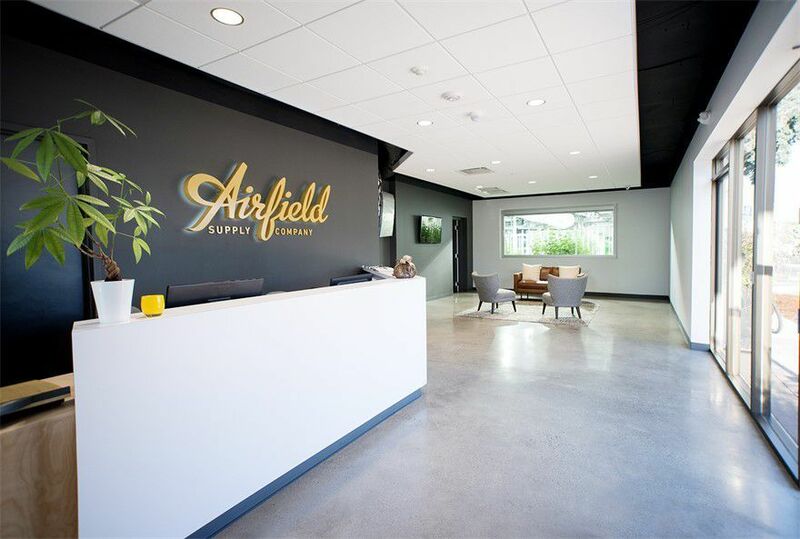 Airfield is fantastic!! Whether you’re stopping in to shop or to pick up an online order (a great option!!) the customer service is top notch, with incredible products, great prices, and a Happy Hour on Monday’s and Wednesdays! Great place, really nice folks, cool atmosphere. Prices seem a little high compared to Oregon and Washington State. Quality of bud was really nice. I tried their strain “Oregon Lemons” Indica it was a nice soft buzzy high behind the eyes to start off, moved into a thought provoking analytical/creative high, slight bit of paranoia, finally ending with a nice sedative feeling and a great sleep. I look forward to trying other strains in the near future. I had heard so much about Airfield and thought I was going to end up disappointed but I had a great time. They have a wonderful selection (flower, capes, edibles, etc. ), great deals, and knowledgeable + attentive budtenders who take themselves just seriously enough. You can browse their up to date stuff online (with pretty solid descriptions) as well as pre-order for pickup. They exchanged a cart I had a problem with very easily. I don't know if it's just because it's Halloween weekend (I went Saturday and Sunday) but it was poppin' in there and the line was quite long (only downside but others said it usually isn't so busy). Very classy, futuristic vibe.